Olverum (true oil) is a unique and luxurious aromatic blend of essential oils. With just a few drops in your bath, these carefully chosen extracts combine to help ease stress and relax tension in both mind and body, bringing you back to your complete and natural self. As pampering as it is therapeutic, an Olverum bath is like a warm, comforting hug that helps you recover when you feel mentally and physically depleted. 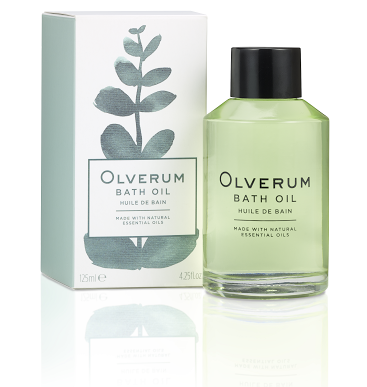 Whether you use it to relieve stress, revive aching muscles and joints, rebalance dry skin, or simply to luxuriate in a blissful aromatic 'me time' moment, Olverum promotes a feeling of well-being and renewal. Deep Relaxation and Stress Relief: Inhaling the aromatic vapours released by a warm Olverum bath helps relieve tension and aids relaxation. Used at the end of a stressful day, Olverum can help you achieve a deep and untroubled nights sleep. Soothes Aches and Pains: Olverum stimulates the circulation and helps bring relief to aching muscles and joints. Beautifully Soft Skin: The light non-greasy oil is easily absorbed by the skin, leaving it feeling beautifully soft and pampered. Please note: You must follow or like Unique Young Mum and Olverum on at least one social media platform! To find out more about Olverum and to view their full range of products, check out the official website.